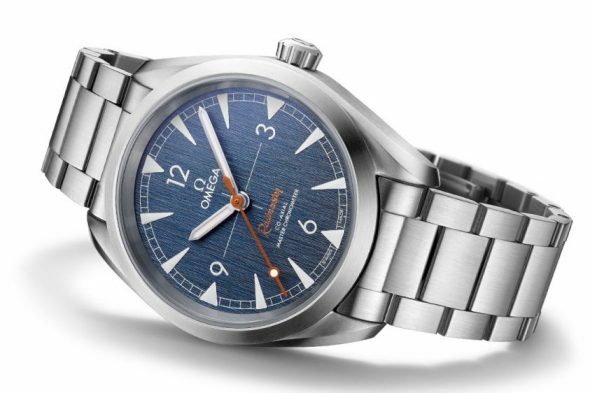 Celebrating the 60th anniversary of their iconic Speedmaster, Seamaster 300 and Railmaster, Omega launched a limited-edition featuring all three models in the so-called 1957 Trilogy at last year’s Baselworld. Due to its success, the Railmaster was once again added to the brand’s core collection. 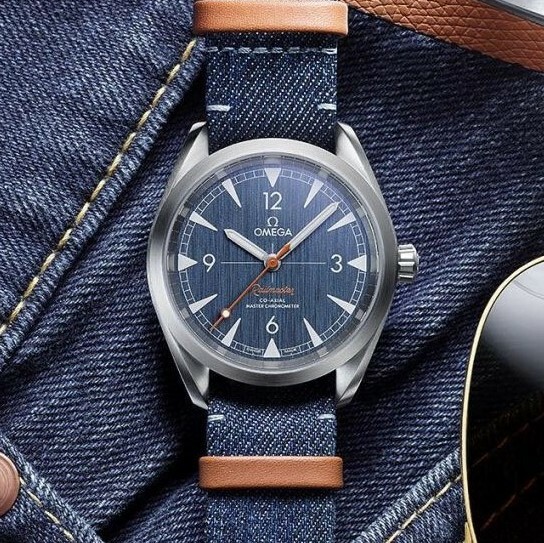 This summer, Omega takes another look back into its history and releases the Omega Railmaster Co-Axial Master Chronometer “Denim”, drawing attention to the model family’s industrial character. 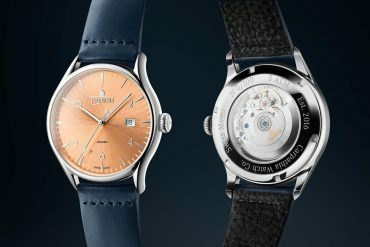 The Railmaster was originally intended to accompany scientists, technicians and railroad workers in their daily lives as it featured a high magnetic resistance of 1,000 gauss due to a copper-finished movement, double case and extra-thick dial. 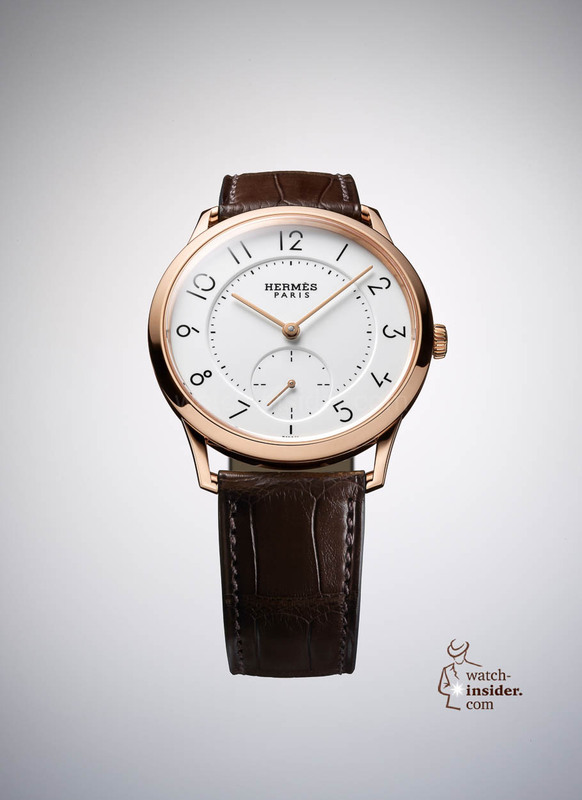 Despite, the watch did not have as much success as Competitors like Rolex and IWC back then which is why its production had been ceased in 1963 – only 6 years after its first release. 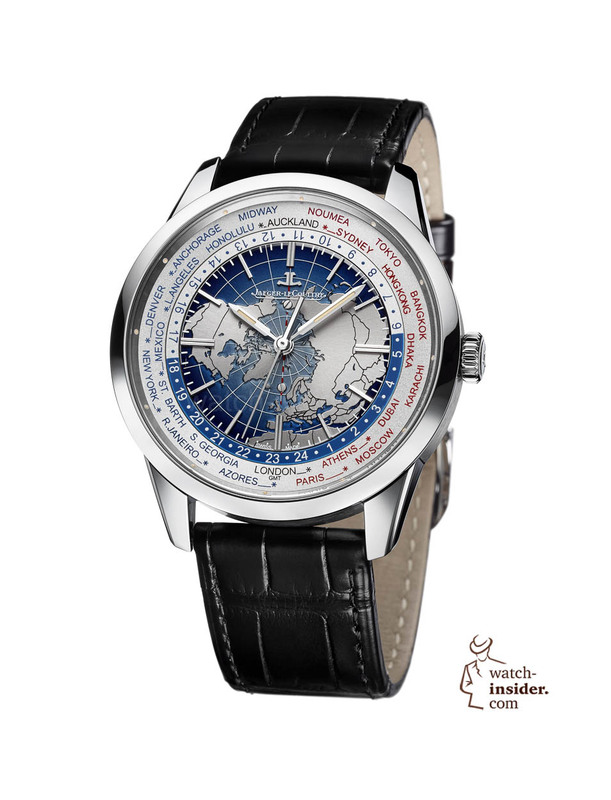 Thanks to the great success of last year’s Trilogy Edition the series has recently been revived in several variations – including this model’s “Denim” concept. 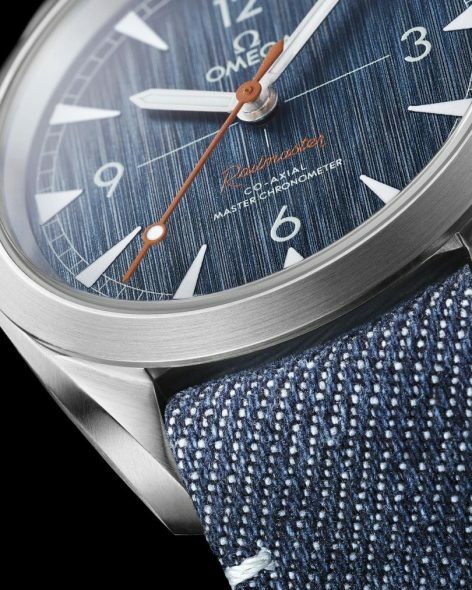 In Tribute to the hard-wearing denim worn on the railroad tracks, Omega includes the fabric into its Railmaster. 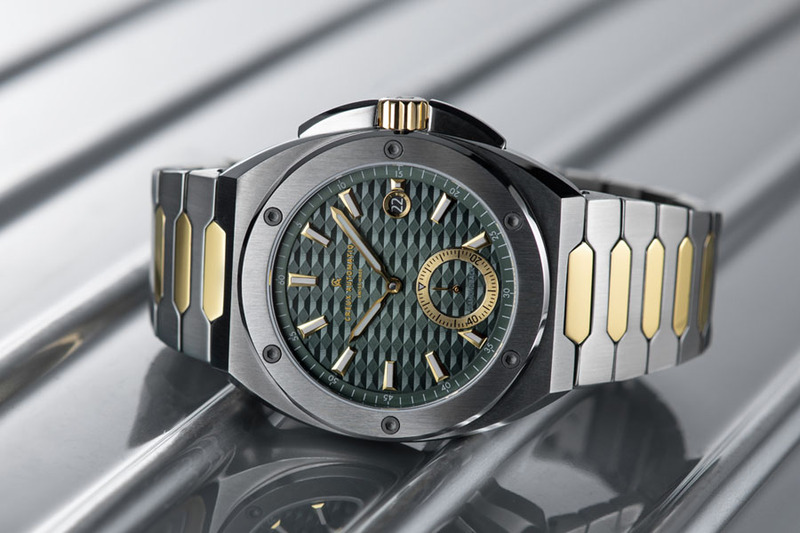 The brushed steel case measures 40mm in diameter and is water-resistant to 150m. 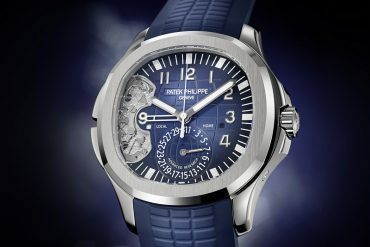 A domed sapphire crystal protects the vertically-brushed “blue jeans” dial. It features signature Railmaster details such as the railroad style minute scale, a red Lollipop second-hand and frameless hour markers. While some of Omega’s critics have been complaining about the warm vintage-toned lume in combination with the black dial on the 2017-model, the brand now applies light grey Super-LumiNova onto the hands and markers. Powering the watch is the METAS-certified Swiss Automatic Caliber 8806 with 25,200 VPH, a power reserve of 55 hours and protection against magnetism up to 15,000 gauss. $4,900. For those who like to keep it a bit more classy, there is also a 20mm stainless steel bracelet available which will cost you a $100 more. 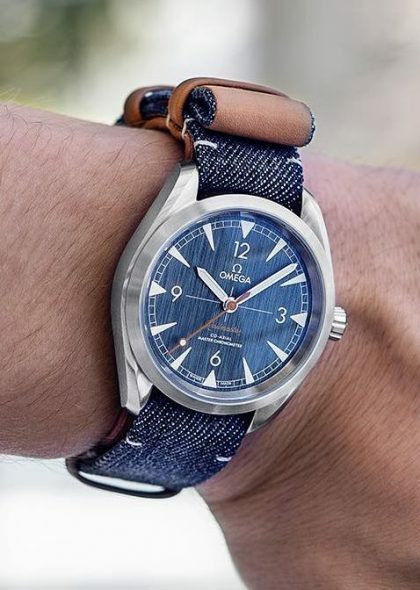 Omega Railmaster Co-Axial Master Chronometer Denim price is $ 4.900* (NATO strap) / $5.000* (steel bracelet). * MSRP at time of publication. Price(s) excl. VAT and may vary depending on location.